We are all very desperate for schools improvement; however, this is not enough to justify adopting a proposal which needs a further amendment for now. The fact that it has provoked such emphatic opposition from some of the stakeholders is also ample reason to review it further. Nothing is perfect and mistakes can be corrected here and there if detected early. For example, rather than taking away the bargaining roles of the unions, this can be strengthened. However, Unions themselves needs to have a strong oversight to make them accountable and to keep them transparent. There is no need for them to take money from employees and refuse to represent them properly or not at all. We definitely do not want this issue to drag out any further. It will just continue to damage an already-broken system with an already terrible reputation. Mr. Baker should cut the bait, but all actors must DEMAND greater accountability and performance metrics from every level of PGCPS. An Inspector General should be appointed to address the issues heads on. 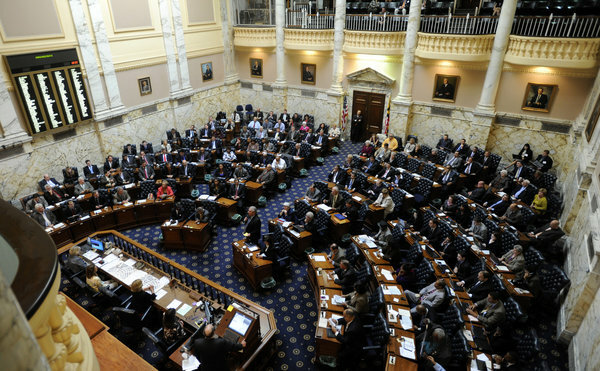 It is not fair to be the toilet bowl of education in the whole state of Maryland. Let us please dismiss the canard that more money is the solution here. PGCPS has been getting more money to educate fewer students for many years; cash cannot compensate for cultural deficits, demographic hurdles, little-to-no accountability, and families which do not show a commitment to learning. 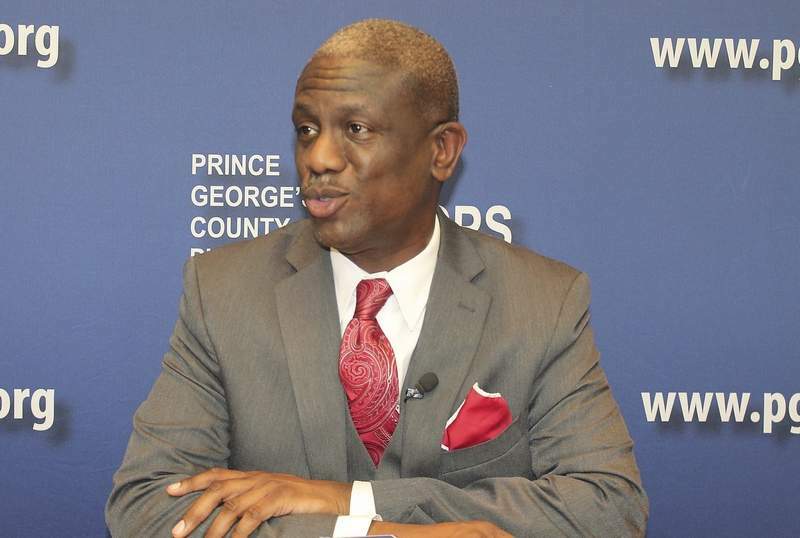 PGCPS has long been a magnet for dysfunction—and the poles must be reversed. We are pleased to read from the Washington Post that Mrs. Jacobs and Mr. Baker are going to meet. This is a good start. It is too bad it had to get to this point for that to happen. We disagree that the individuals in the Washington Post article represent the voices of all, majority, or minority volume of parent groups. All of us that have been following this very serious issue most certainly do not feel “betrayed”. Surprised, yes, but not “betrayed”. 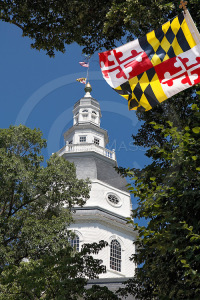 Mr. Baker and the County delegation in Annapolis needs our support and should move quickly to address the issues. Mr. Baker and the County delegation should also be flexible when dealing with those who support them and address the matters without any further delay. This way, Mr. Baker could avoid making the same mistakes Washington DC made during the Ms. Michelle Rhee reign from 2007 to 2010. WE Prince Georges County residents, especially those of us that have kids enrolled in PGCPS, have the ability to speak and think for ourselves and hope our voices are heard now more than ever. Several organizations who benefit from dysfunctional Unions and other connected individuals to the bootless Board of Education are the ones making the loudest noise. We understand their dilemma “Shifting the roles to the County Executive office is like taking away a cake just before they eat”. The dysfunction must be addressed properly otherwise, there will be “an Arab spring right here in PG county in 2014”. Our group is monitoring and we are in touch with many grassroots individuals and organizations who will be voting in the next election. The hot potato must be handled with caution and problems fixed properly right away. They are looking to hear from their constituents. Prince George’s County Delegation Chair Jolene Ivey is inviting members of the public to write their suggestions and comments on a new proposal to change the county school board. Members of the public are encouraged to send their written testimony on amendments released yesterday that would alter the membership and operations of the county board of education. 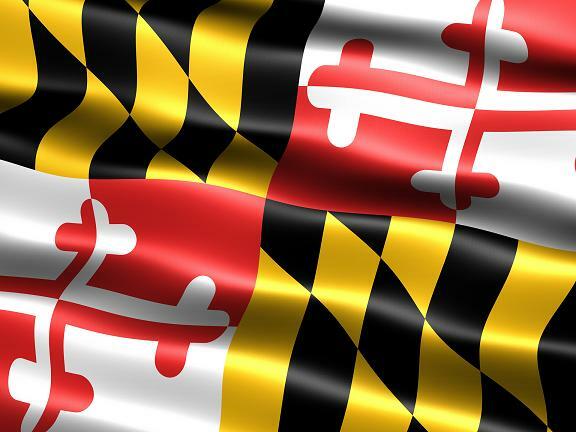 Testimony should be sent to the delegation office by email at pg2@mlis.state.md.us by March 27, 2013.” You can also email us your input by email to us at reformsasscer@gmail.com. We will be talking to the elected representatives. It takes time to clear with the General assembly once they receive your suggestions and feedback. The data has to be analyzed to make sure everything is accounted for and goes on smoothly to cover each corner. They have to get it right. Integrity supersedes speed here but we are trying, aren’t we? Thank you for your continued engagement on our social media platforms. Keep up the pressure! We appreciate the proposal by the County Executive Baker to take charge of the Prince George’s County Public Schools (PGCPS) school District. Most of the opposition to a drastic change of direction for the school system is motivated by person’s own political/financial welfare; people’s opposition is based on some current power/position they currently have. For example Board of Education statement led by Ms. Verjeana Jacobs was not sincere given what they have done in the last eight (8) years. (See the statement here) In any event, a lot of people don’t have the children of this country’s best interest at heart. 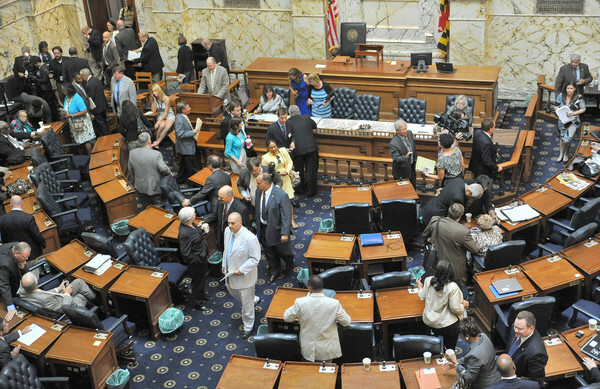 How could anybody say that they are happy with being the toilet bowl of education in the whole state of Maryland? Something needs to change!! This is not a money problem. The problems that we face are derivative of lack of vision, leadership, and direction. With the revolving superintendents and the high school-educated community activist school board, the schools do not have a chance. Proof is in the pudding! The Washington post was right on their article (Read it here). This article calls Baker’s tactics ruthless and cold blooded. Maybe So! But guess what! That unwillingness to compromise and/or tolerate the school system’s inadequacies is needed! We think it’s ruthless and cold blooded how the school system is educating the children in PG County!! We support the change wholeheartedly; anything has to be better than the status quo. The Only thing we could ask the State legislature to do is to press Mr.Baker to keep his promise and to hire an independent Inspector General as part of the amendment. (See HB1107 Amendments here). 2014 Election year is fast approaching and we will waive our right to select the officials that determine the fate of our school system if we do not act fast. Elections themselves, like we have always said in our tweeter feeds, (are) not a wedding reception where everybody is happy and singing. Elections are emotive, and mobilization for support, as we have seen last year, has emphasized on candidate’s record and promises made plus the delivery. The Inspector General would ensure that there will be somebody to keep the county Executive now and in the future plus his superintendent honest or accountable. If Mr. Baker is not up to the task, we request him to pass the torch to the State of Maryland and Governor O’Malley to take over the struggling school system. In addition, you can also call your elected officials in Annapolis – Maryland and request the same. Previous County Executive Mr. Jack Johnson and his wife Leslie Johnson went to jail last year because of the lack of accountability and corruption related matters. We do not want Mr. Baker to expose us and/or our community to the same calamity. We are sure the Feds will be happy to see that the County can do better on their own than to keep revisiting the same situations. It’s time! As residents of Prince George’s county and state of Maryland, We support any effort that will improve our school system. Dr. Hite’s comments about the positive relationship between the Philadelphia mayor’s office and the schools system speaks volumes about why oversight by the county executive is needed. The county isn’t doing an adequate job of educating our children, as evidenced by the less than stellar results of Prince George’s county students when compared to other local jurisdictions. It is a shame that some members of the school board do not have professional backgrounds in education and lack bachelor’s degrees. Let us not forget the Dr. Andre Hornsby fiasco as well and others in the last year. 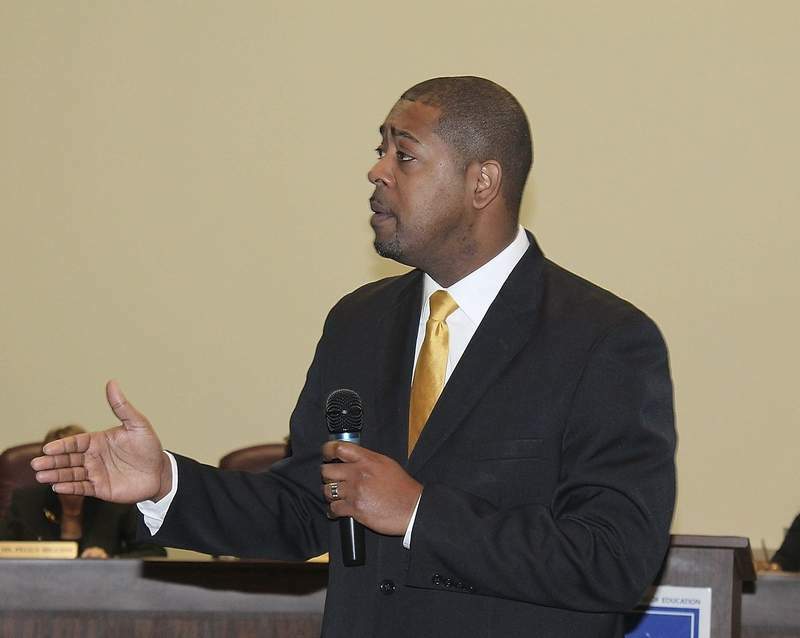 We support County Executive Mr. Rushen Baker, who wants more organization within the school system. Extending him limited oversight could prove beneficial to the school system, but more importantly, the students. There has to be checks and balances for everything. An Inspector General will negate the potential of corruption and waste. Despite the weaknesses demonstrated by the public school system, charter schools are not the solution. As a movement, we are going to be right here to make Mr. Baker accountable. Should Mr. Baker stray from the path of progress, we will make lots of noise. It is his job as the county executive to sink or swim with his own proposals. Can things get any worse than they already are? SOMETHING definitely needs to be done and anything is better than the current situation. We hope the County Executive working closely with the Governor and the General assembly succeeds. No school system anywhere in America succeeds without a close working relationship of parents to the schools. Until that commitment is met by the parents of the students in Prince Georges county, nothing Baker will do can change things for the better. The current Board of Education needs to get busy and mobilize residents and create innovation by making parents want to be part of the education process. This is one reason why we chose the Airforce one as a symbol of the parents advancement and not decline. When the school system entrusts the responsibility of managing both the budget and considerable financial resources to those that aren’t experienced in such tasks, scandals and/or negligence are going to continue happening all the time and the only lawyer in the group will continue to get rich through it all. Take our survey by clicking the link below. Stakes are high – PG Superintendent. No enduring civilization – or great nation – has ever been built on lawlessness, or criminality. Although the process seems to have gone relatively well, it was Ms. Jacobs who spawned the winners. The sycophancy and corruption of her era are still ingrained in the political culture and are embodied by the rise of her allies from the previous election. Against the backdrop of political intrigue, PGCPS struggles against exploitative practices by corporations some of which have no bid contract against the State law. A self-isolated middle class cruises in luxury above a sea of poverty in the west of Largo – Capitol Height, Seat Pleasant, Fairmount Heights etc . Mitchellville MD’s bungalows and opulent hotels dazzle observer’s eye, while blinding it to the shacks, broken roads, unfinished projects, schools which are in failing shapes. We are grateful that whoever becomes the new superintendent of PG schools is coming to office the same time as President Obama is in office for the second term. Above all they will assume power around the same time as Pope Francis of the Roman Catholic Church and President Xi Jinping of atheist China. Both have taken the reins of power and each will be in charge of over 1.2 billion people. Will Dr. Alvin L. Crawley, Dr. Eric J. Becoats and Mr. Harrison A. Peters, the three candidates chosen as finalist, revive the schools, help reduce poverty, corruption, nepotism, professional misconduct, assist the homeless youth and prioritize the interests of ordinary PG Citizens, parents who have children in the school system? We are very skeptical. 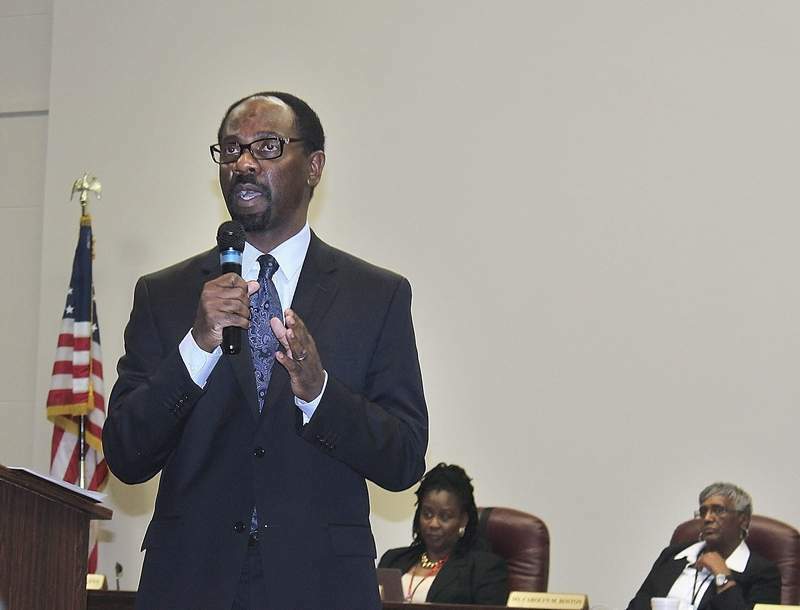 Dr. Alvin L. Crawley interim superintendent has not demonstrated his vision for the system during his short tenure and several students have died during this period. He has also not addressed our top priorities and does not seem to be Technology savvy . Dr. Crawley is also tied to Dr. William Hite jr in a variety of ways after he was hand picked to succeed him in a suspicious manner. 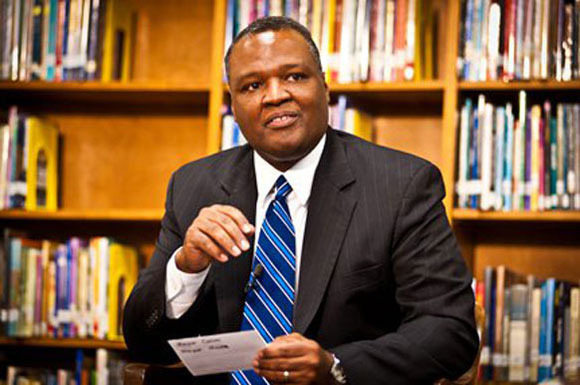 Mr. Harrison A. Peters He became a chief area officer for the Chicago Public Schools in 2010, responsible for 12 high schools serving 11,000 students. He is the only finalist who does not have a doctorate, which is not required to be a superintendent in Maryland. Any hesitation not to challenge the selection process of the new superintendent in PG County school system would be a betrayal of the United States constitution and everything else that PG County citizens hold dear after what we have been through. Ms. Verjeana Jacobs and company, you are free to appoint your friends who qualify, but we ask you not to appoint sycophants. Many are singing praises to you now but they don’t mean it. You need someone who will have the courage to tell you when you are naked. And the fortitude to remind you of your human frailties should you think you are god! You have acted like God in the last several years and conspired in variety of ways including Washington plaza fiasco in which the county lost millions of dollars. The list is endless….. In this International Year of Water Cooperation, make us shout with joy, as Ronald Reagan [1911-2004], US 40th President said, “Never has there been a more exciting time to be alive, a time of rousing wonder and heroic achievement…” Let this be our sputnik moments and help resolve grievances throughout the PG county system. We cannot move on as a county if we have grievances simmering in our closets. Why unions are problematic in PGCPS District. As much as we would rather not accept it, while unions have done a lot of good and have helped workers avoid exploitation, they also seem to have helped senior administrators including superintendent of schools and other senior administrators within the Prince George’s County Public Schools (PGCPS) in several cases exploit workers. Perhaps it has been a gradual shift over time, with some Unions slowly accumulating more and more power and colluding with management in many cases to abuse employees within PGCPS School District and elsewhere. “Stress is a normal physiological response to ‘danger’ as perceived by the body or brain. The factors that lead to stress can be self-induced as well as induced by the surroundings. Employee stress shows a direct impact on an organization’s business. While from the business angle it can affect productivity, client service, profits and team work, from the individual’s perspective it can lead to deteriorating morale and self-esteem, low confidence levels, health hassles and a troubled personal life. In many cases, the Union staff involved in negotiations has been busy lining their own pockets or involved in illicit acts as shown in other areas as well for example ACE-AFSCME Local 2250, ASASP, SEIU and PGCEA Unions to the dismay of many members and the community at large. The Union staff members involved in this activity have been violating their oath of office in several ways. They have been acting in questionable ways including lying, bribing select candidates for the local board office among other issues. (The Board members who are the target of bribery and back door campaign contributions are well-known). These issues need to be addressed or brought to a stop without any further delay within PGCPS School District. The PG County delegation needs to look into these issues and stop the practice. If the Unions want to serve and assist, they ought to be accountable or made to account by various stake holders and they must play by the rules. We cannot afford to have a few elements destroy our democratic institutions for what appears to be purely personal greed driven by malice. Public life means meeting our shared responsibilities, caring for one another, and building the mutual trust upon which democracy depends. The recommendations below are special cases of these moral principles. They also represent a special case of a general strategy – to restore public life to American democracy which includes Prince George’s County School District. This bill alters the date by which a certificated professional of the Prince George’s County Public School System, who seeks to terminate his or her contract of employment, must provide notice to the Prince George’s County Board of Education. Specifically, regardless of the date that a certificated professional was hired (and therefore of the date that termination would occur), notice must be given by the individual no later than May 1. Prince George’s County Public school is currently a swamp of corruption, proffessional misconduct and nepotism. House Bill HB1080 was written in mind to target certain individuals because of discriminatory conduct as practiced by top managers in PGCPS. Once the notice is given in the current scenario, the current management which has exhibited harassing behavior and cover ups will retaliate and discharge the employees UNDER drummed up charges once the notice goes out. The PGCEA attorney involved in the grievance procedure a Mr. Damon Felton from MSEA in conspiracy with others are engaged in corruption with regards to processing grievances and other matters currently being addressed by attorney grievance commission. The grievance system in PG county has failed in accomplishing its initial mission and in this scenerio, students and families of Prince George’s County suffer. Reform Sasscer Movement for Prince George’s county strongly opposes House Bill HB1080. For further information, please contact Moses Mackenzie at reformsasscer@gmail.com Or call your delegate and oppose the bill. The delay in communicating this opposition is deadly to all teachers and certified administrators in the State of Maryland as the hearing is scheduled for March 14, 2013.